Some great imagery on this anti George Wallace button from 1968. 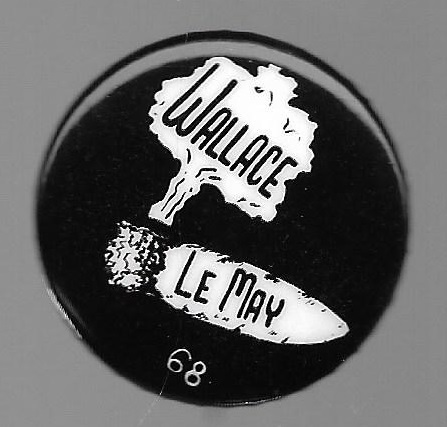 This 1 ¼ inch celluloid shows a Curtis LeMay cigar lighting up a George Wallace explosion. Excellent condition.